Saw a Web Series a few days ago. It was good. Let me tell you a bit about it. The Confession is an online-only series. Each episode of The Confession is five to seven minutes long. The whole series is just 10 short episodes. 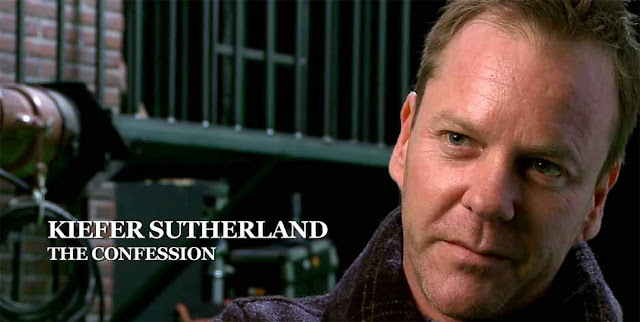 The series stars Kiefer Sutherland (Jack Bauer from 24? What? How can you ever forget 24?) as a very-good-at-what-he-does Hitman and John Hurt as an old priest with conflicting beliefs. On a snowy Christmas eve, the Hitman visits a Priest at his church and explains to the priest that he has a kill order for later that night but forces the priest to listen to his confession by telling the priest that he will start killing the people in the church if the Priest does not listen to his full confession. The story features flashbacks of the hitman showing what he does best while telling the priest how he came to visit him, climaxing with a pretty good twist! Its a brilliantly scripted series and its amazing how engaing the short series turned out to be. It was really good. I've shared the complete series here so you can download it easily. Check it out. I think you'll like it. Thank you, this will be my weekend movie.